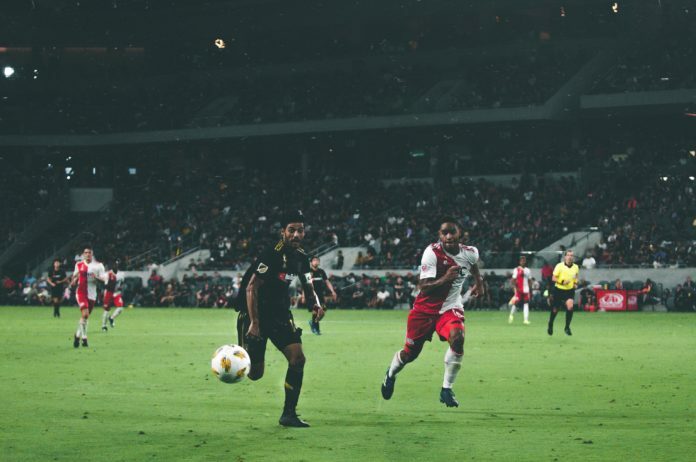 The regular season is winding down, and with three games left and a spot in the playoffs already clinched, LAFC finds themselves in a comfortable position heading into November. However, we can still do better than our current third place position and possibly even win the Western Conference. We decided to run through two scenarios to see how that might work. Keep in mind these aren’t all possible winning scenarios – just a few that we wanted our readers to visualize. LAFC is currently sitting in third place tied with Sporting Kansas City on points (53 each) but significantly behind on goal difference. Luckily for us, we get another chance to play Sporting KC and clinch a first-round bye. This would be the easiest way for us to clinch second, but wouldn’t be sufficient by itself to earn us the top spot. Our remaining games are must-wins at home against Houston and Vancouver. The elephant in the Western Conference is FC Dallas, sitting in first with a comfortable 4 point lead over LAFC and Sporting KC (57 points). With upcoming away games at DC United and Sporting KC – it’s safe to say they don’t have a cakewalk to the Western Conference title. LAFC wins all three of our remaining matches – netting 9 points. This leaves us on top of the table 62 points. Sporting KC would have to tie FC Dallas – leaving them with a 1 point gain each. This means Sporting will finish no higher than second while FC Dallas would just have to lose one of their remaining two for us to take the top spot, leaving them with 61 points in a best-case scenario (1 win, 1 tie, 1 loss). Seems tough, but it’s certainly feasible. LAFC wins against Sporting away and wins one of our remaining two games, leaving us with a total of 59 points. This would require FC Dallas to at best tie two of their remaining three games, and lose one – leaving us tied on points. As it stands, LAFC would win the conference on goal difference. While somewhat less likely, it’s still possible. These are just two possible scenarios that would leave LAFC on top of the Western Conference. While we’re already happy to be have clinched a playoff spot, a first-round bye week and a Western Conference title would be icing on the cake.